The plunge in oil prices in the last seven months has had mixed effects on the global economy, ranging from modest growth boosts for net importers like China, Japan and Europe to disastrous economic consequences for Russia and Venezuela. Most energy exporting countries have experienced some negative effects of the drop in oil revenues, with varying thresholds for said drop. Gulf economies lie Kuwait, Qatar, and Saudi Arabia, are cushioned by reserves that are as high as $700bn in the case of the Saudi Kingdom, and can run on deficits for several years; meanwhile, more populous countries, with expensive social programmes, and exporting lower quality crude like Russia, Nigeria and Venezuela, have been badly hit. In the case of the Azerbaijani economy, the consequences are likely to be middle-of-the-road- sizeable, but manageable. While a negative impact on the state budget and public spending is already materialising, and the drop in revenues last year corroded economic growth down to 2.8%, below the 4.5% projected by the IMF, the country has made enough progress in diversifying its economy and its sources of revenues to withstand a year of volatile oil prices. Sovereign wealth fund SOFAZ and increased taxes are expected to replace revenues until oil prices recover, elusive as that recovery may be at the moment. Azerbaijan’s $24.7bn state budget for 2015 was initially calculated based on a price of $100/barrel in October 2014, only to be later rectified to $90/barrel in November. However, the crude price dipped to under $50/barrel since, and only slightly recovered in early February. SOFAZ contributes the lion’s share of the state budget, namely 80%, while 20% comes from taxes from the non-oil sector. In the private sector, the effects of the plunge in crude prices are already starting to be felt. BP announced that it would slash 255 jobs, or 8% of its staff in Azerbaijan, in response to “a challenging market environment.” Globally, the super major is seeking to save $1bn through job cuts this year. Similarly, in January, service and equipment provider Schlumberger cut 9,000 jobs globally, equivalent to 7% of its staff. The volatility in oil prices is compounded by below- expectations economic growth and the appreciation of the US dollar, to which Azerbaijan’s currency is pegged, and which prompted the Central Bank to use $1.13bn from its foreign currency reserves to support the manat in December. However, the dollar has continued to appreciate by 7.2% against the euro in January 2015, which may require further intervention by the regulator. Allowing the currency to float freely may be less costly for the Azerbaijani state and would allow its non-oil exports, on which the country will increasingly have to rely for foreign exchange, to remain competitive in the CIS region. Statements by Azerbaijani officials about oil prices were largely positive until December 2014, focusing on the resilience of the Azerbaijani economy to prices as low as $60/ barrel. 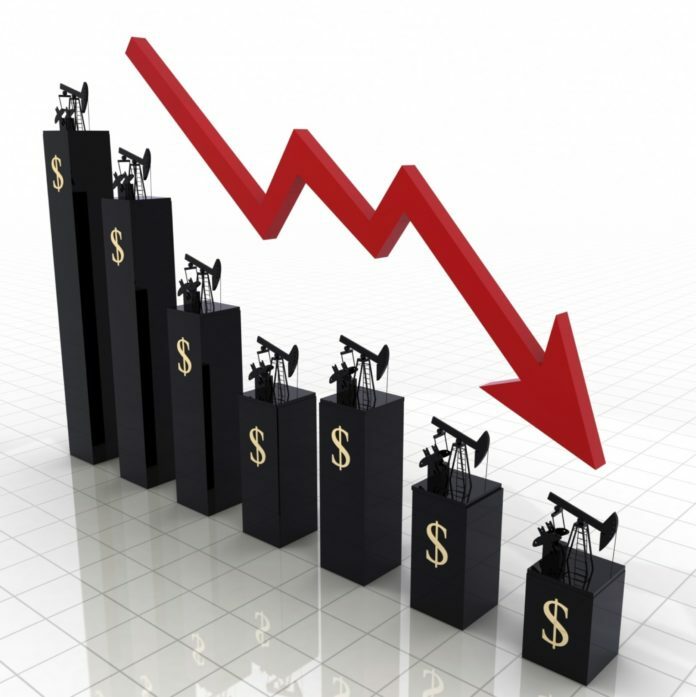 On December 17, Minister of Energy Natiq Aliyev told Trend news agency that “If we take a look at the past 20 years, we can see that oil prices have constantly changed.” However, prices have since dipped well below that level, and few official statements have been made since, with the exception of President Ilham Aliyev’s December 2014 interview with Russia’ Rossiya-24 TV channel, in which he acknowledged that falling oil prices could negatively impact the government’s budgetary spending. A third of the government’s budget spending is allocated for investment projects, which have fuelled the construction sector in recent years. Should spending be cut, other sectors of the economy, such as construction, may become collateral victims of falling oil prices. The current state of affairs only validates the Azerbaijani government’s sustained efforts towards economic diversification in recent years. Significant progress has been made on that front, as the share of the non-oil economy in the GDP rose to 59.6% in 2014, and is expected to reach 65.1% in 2015 and 71.3% in 2018. Meanwhile, the contribution of oil& gas revenues to the state budget has decreased from 73.1% in 2013, to a projected 66% in 2014. The trend is expected to continue. Averaging 10% yearly growth, the non-oil economy has outpaced the energy sector’s output for many years, and is poised to become the salvation for the Azerbaijani economy in the years to come. The government forecasts an 8.2% growth in the non-oil economy this year and 7% in the coming three years. Meanwhile, in the short-term, Movsumov anticipates weathering the storm through balanced spending cuts. “Although we will reduce spending, we will do so in a very controlled manner, without damaging the real economy,” he anticipated.